Welcome to your new smile. A native Oklahoman is something Dr. Prince talks about with a smile. 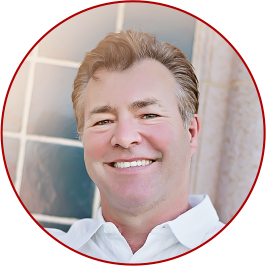 As a general dentist in Oklahoma City, he gets to use his expertise helping the people that he loves to be around. You’ll see his enthusiasm displayed everywhere in his office, including with his handpicked staff who shares his commitment to excellence with the highest level of service. I can’t thank Dr. Prince enough for the incredible work he did on my teeth. He is an artist! I have a new smile…I find that I smile more readily than I used to and for this I will be eternally grateful to him and his staff. Thank you again from the bottom of my heart!